Once more into the vault my friends, once more into the vault. Step back in time, to a time when the modcast was young and fresh. Take a giant step outside your current listening constraints and journey with me all the way back to the fun filled days of summer 2006. I've opened up the vaults and dusted off a classic modcast that I think you'll enjoy. Again. This week it looks like it's Myspace that has become the Mod Mod World. The site is bursting with cool mod, garage, power pop and punk bands. So, I decided to single out some of the best ones and highlight them on this week's Modcast. Hope you enjoy! 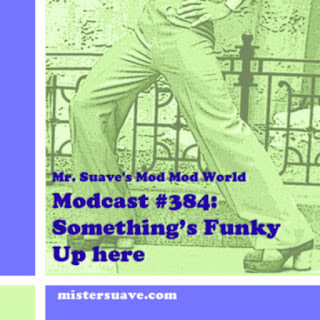 Bands take note: If you'd like your band fatured on Mr. Suave's Mod Mod World e-mail me today at rob@mistersuave.com. This week's second video is a classic from the Easybeats, Sorry. Enjoy! Sorry indeed. Is this ironic or what? YouTube's link to embed the Easbeat's video right here has blownup, so you'll just have to click here to enjoy.